It’s that time of year again, a time when fresh grass is growing, but not in your yard, but just below the surface of the Severn River. We’re talking about our submerged aquatic vegetation (SAV). They’re back! How are they doing? 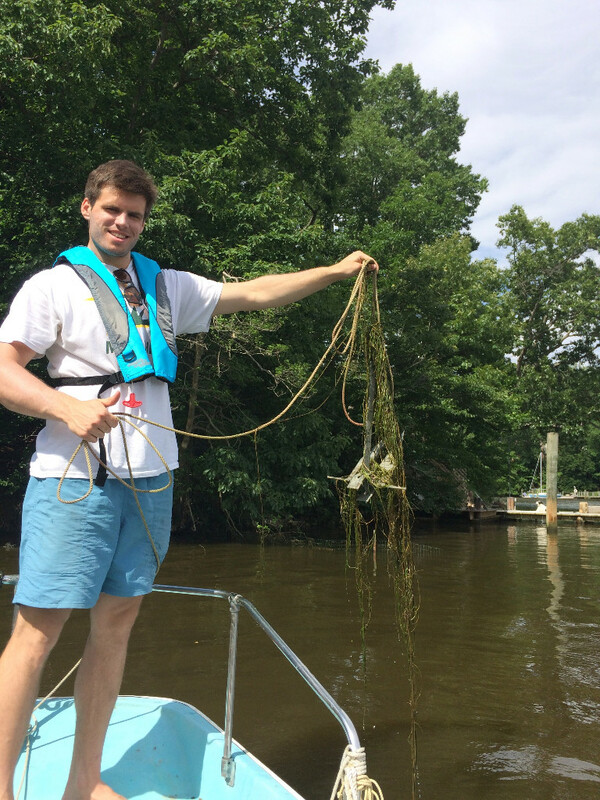 Join us Tues day, April16, at Union Jack’s of Annapolis to find out during the next John Wright Educational Series presentation sponsored by the Severn River Association (SRA). When: Tuesday, April 16, from 7 p.m. to 9 p.m.
During the meeting, you’ll have an opportunity to learn about SAV. Our special guest speaker will be Brooke Landry with the Maryland Department of Natural Resources (DNR). 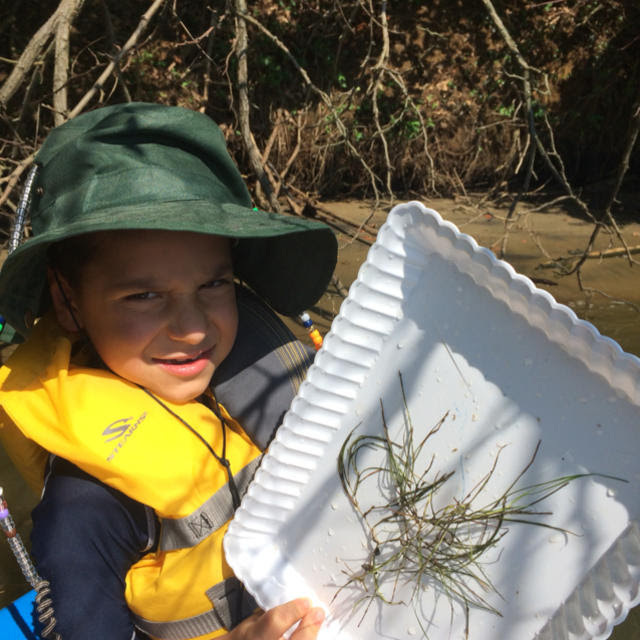 Brooke is DNR’s commander-in-chief of efforts throughout the Chesapeake Bay to map, monitor and identify the return of underwater grasses, aka, SAV. You can see from the picture of our 2018 college inter, Colin, at left, that joining the SAV ‘Navy’ is a great way to explore our river and chronicle the return of our crucial grasses. In the past two years, SRA volunteers have mapped what’s known as the summer grasses that thrive from July through October. This year we’ll start mapping spring grasses, as well. They flourish from late April through late June.